Remember that little quad and power wheel truck from last year? Brent sold them about 6 weeks ago certain that Emmett was ready for the real thing. 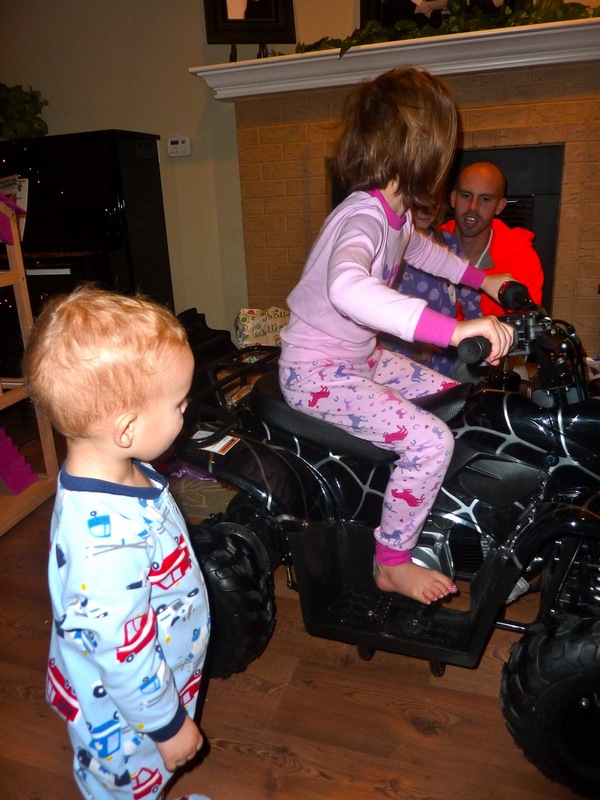 So Christmas morning the children awoke to find the real deal. Brent thinks just sitting on it, will be fantastic airway clearance therapy. The vibrations. Hmmm...maybe that was just an excuse for dad! The big surprise for the girls was a big beautiful doll house. I agonized over this. I wasn't sure I wanted to stifle their creativity with an actual house, they make such clever ones, but I decided I wanted one in our home. It was one of my absolute favorite toys for so many years as a little girl. 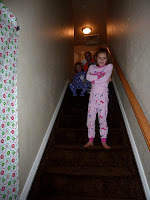 This was Callista and Ellery's want from Brent and I and Mimi and Papa. Merry Christmas to our sweet little kiddos.